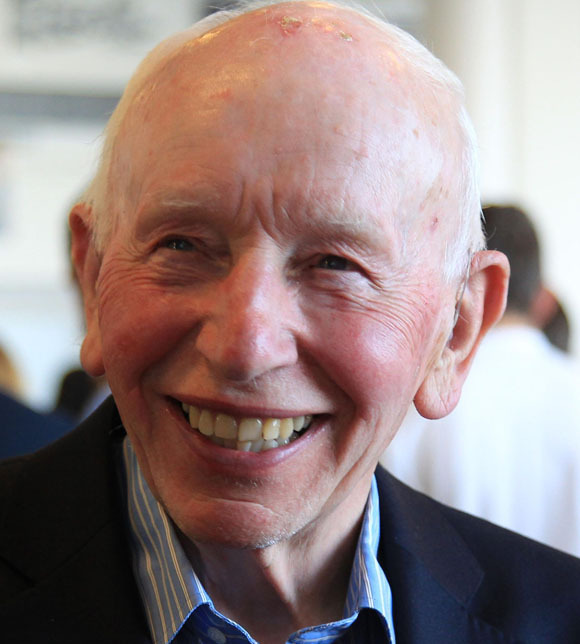 John Surtees, the only person to win world championships on both four and two wheels, has been awarded a CBE in Britain's New Year's Honours list 2016. The Order of the British Empire "recognizes distinguished service to the arts and sciences, public services outside the Civil Service and work with charitable and welfare organisations of all kinds." After being made a Member of the British Empire (MBE) in 1959 and an Officer of the British Empire (OBE) in 2008, the 81-year-old has now been honoured with Commander of the British Empire. The award is in recognition of his services to motorsport and the charitable work of the Henry Surtees Foundation, named in honour of his son, who lost his life in a Formula 2 crash at Brands Hatch in 2009. The foundation provides vital support for those who have suffered injuries in accidents. 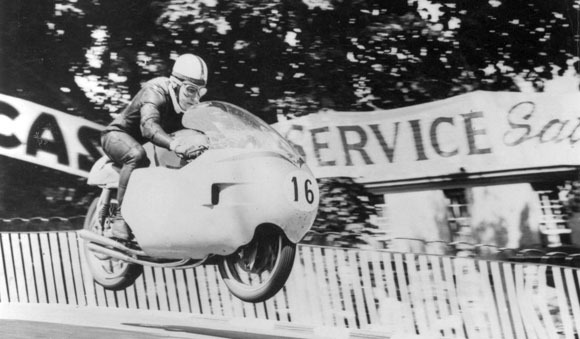 John Surtees enjoyed a glittering competitive career dominating the British circuits in 1954 and 1955 before starting his World Championship career on two wheels with winning the 500cc Isle of Man TT and the 500cc World Championship for the first time. John had ridden Triumph, Vincent, REG, NSU and Norton before joining MV Agusta. He recorded 38 motorcycle grand prix wins. The Brit won four 500cc and three 350cc world titles from 1956-1960 alongside six Isle of Man TT victories. Retiring from motorcyles at the end of 1960, after a seamless transition to four wheels, he took his first Formula One Grand Prix victory at the Nurburgring in 1963 in his first year at Ferrari before going on to win the world championship the following season. He finished second in the 1966 Formula One World Championship driving two marques of car after his split from Ferrari and his joining the Cooper Maserati team. He won the prestigious inaugural Can-Am Sports Car Championship Series in America driving a Lola T70. A move to Honda followed for 1967 and with the RA 301 in which John played a large part in its development; he won the 1967 Italian Grand Prix at Monza. Surtees also enjoyed considerable success in prototype sportscars winning at circuits such as Sebring, Nurburgring and Monza. He gained a podium at the Le Mans 24 Hours in 1964. He started his car construction race programme in 1968 building F5000 race cars which gained Championship successes in both the UK and America. In 1970 the F1 operation followed which gained non-championship successes and World Championship podium positions. In 1972 the F2 car was introduced winning the European Formula 2 Championship with Mike Hailwood and a second position in 1973 with Jochen Mass.